Over and again we come across times wherein you CLIENTS have wanted to setup your account yourself neglecting our free Setup, Just for the JOY and the THRILL in working with something new. As we always value your experience more we’re now delighted to let you design your lease agreement/rental contract on your own. 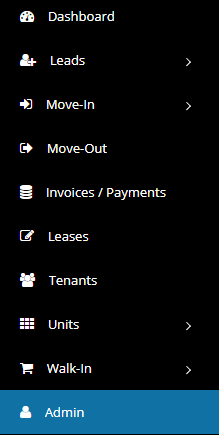 Step 1: Navigate to the left list menu and choose the Admin tab. 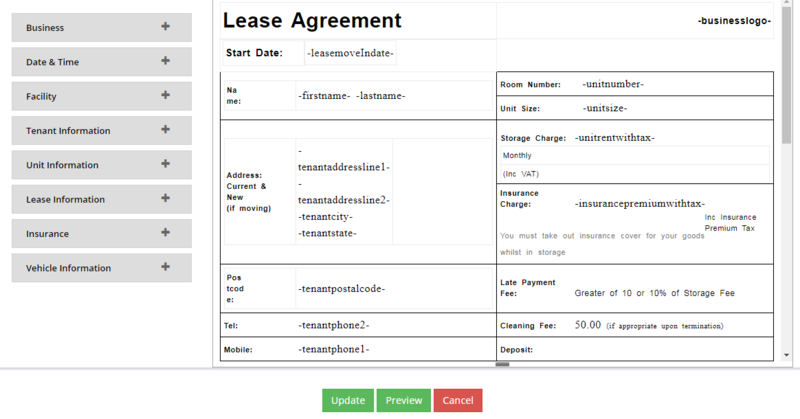 Step 2 : You’d then need to dive into Customize Lease Agreement under the Customization tab. Step 3 : Here’s where the wonders happen, This would be the work area where you have all the tools needed to design your Lease Contract. Even better we’ve given you macro’s that’d fetch real time data from your account, use them wisely!. Step 4 : Simply start of by typing or copy/paste from an existing document. Step 5 : Then choose the macro’s you’d need and place them wherever you’d like. 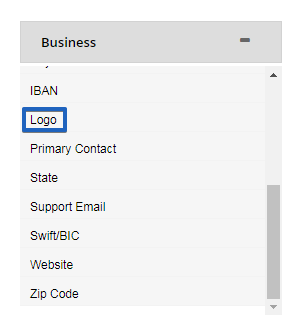 Step 6 : In this example I’m trying to have my Business logo at the top line of the page and here’s how I do it. Step 7 : A while after unleashing your designing skills and the interest in using the macro’s you should have a completed document. Simply hit on update to save the same and to start using it for your move-ins. Step 8 : Take a quick peek of what you’ve created by hitting on the Preview button. Note : "We know your imaginative and enjoy trying new things, but don’t forget that were still and always will help you with the setup for FREE". 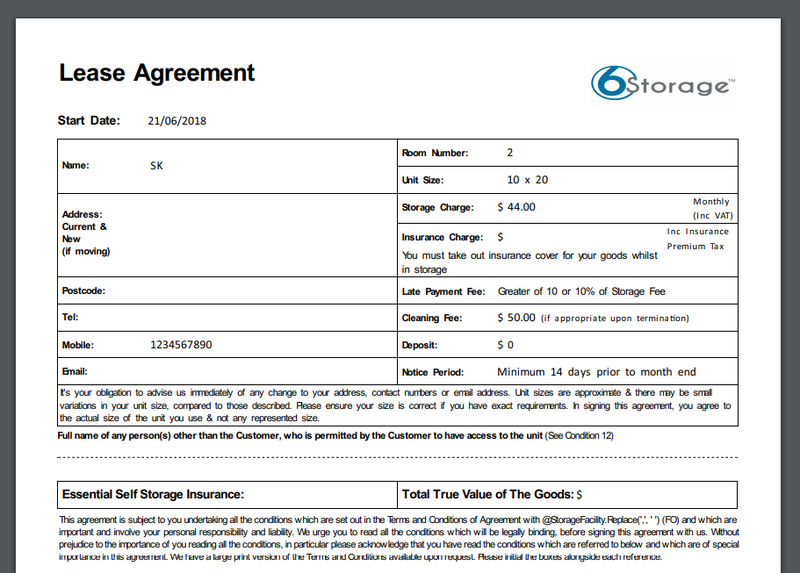 Still finding the design on your own concept tough, just send across your rental agreement to support@6storage.com and we’ll get you setup in no time!.